Some big screen literary adaptations out on dvd. Academy Award-winning fantasy adventure based on Yann Martel’s Booker Prize-winning novel. Suraj Sharma stars as Pi Patel, a 16-year-old zookeeper’s son from Pondicherry who finds himself stranded on a small boat in the Pacific Ocean in the company of a hyena, a zebra, an orangutan and a Bengal tiger following the shipwreck of the freighter on which he and his family were sailing for Canada. Over the course of several months Pi manages to survive on the meagre supplies of food and water he finds on the boat, and also takes up fishing, while in his half-delirious state he muses on various aspects of animal behaviour, religion and the meaning of life. 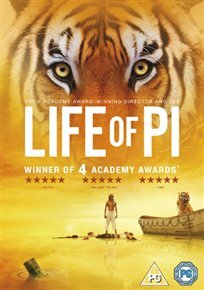 The film won Academy Awards for Best Director (Ang Lee) and Best Cinematography (Claudio Miranda), as well as an Academy Award and a Golden Globe for Best Original Score – Motion Picture (Mychael Danna) and two BAFTAs. 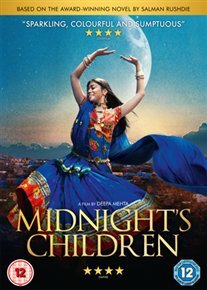 Based on Salman Rushdie magic realist novel, the film is set against the backdrop of India’s independence from British rule and the resulting partition of India. The story concerns Saleem Sinai (Satya Bhabha), who was born at the precise moment of India’s independence and has been imbued with telepathic powers which connect him to all other children born within a one-hour timeframe. Academy Award-winning big-screen adaptation of the stage musical based on Victor Hugo’s classic novel. Set in 19th-century France, the film tells the story of Jean Valjean (Hugh Jackman), a prisoner who breaks his parole and spends the next two decades fleeing from obsessive police inspector Javert (Russell Crowe). 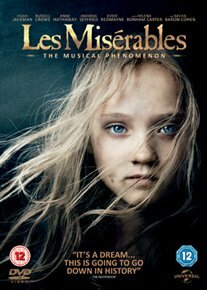 In his quest for personal redemption, Valjean adopts Cosette (Isabelle Allen/Amanda Seyfried), daughter of impoverished prostitute Fantine (Anne Hathaway), and is eventually elected as town mayor. But despite the events of the intervening years, can he ever really shake off his past? The ensemble supporting cast includes Helena Bonham Carter, Sacha Baron Cohen, Eddie Redmayne and Samantha Barks. Hathaway won the Academy Award, Golden Globe and BAFTA for her supporting performance. The film also won two additional Oscars and three BAFTAs, and received Golden Globe Awards for Best Motion Picture – Musical Or Comedy and Best Actor – Motion Picture Musical Or Comedy (Jackman). Comedy drama adapted by writer Ronald Harwood from his own stage play of the same name. Beecham House is a retirement home with a difference: it specifically caters for former artistes including one-time opera singers Cissy (Pauline Collins), Reginald (Tom Courtenay) and Wilf (Billy Connolly). Once part of a quartet, the three still take part in an annual concert to celebrate the birthday of composer Giuseppe Verdi. 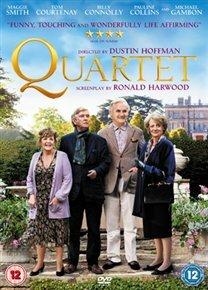 But this year things are complicated by the arrival of the fourth member of their quartet, Jean (Maggie Smith), a die-hard diva who also happens to be Reginald’s ex-wife. Theatrical temperaments and old hostilities flare as the dramatic foursome fuss, flirt and flounce their way through rehearsals, adhering emphatically to that old showbiz adage, ‘the show must go on’. Once the water settles, the badly-injured mother and son begin a frantic search for the missing members of their family, but it soon becomes apparent that Maria is desperately ill and must be given medical help as quickly as possible.